Two new documentaries about the Japanese attack on Pearl Harbor, PEARL HARBOR – USS OKLAHOMA: THE FINAL STORY and PEARL HARBOR – INTO THE ARIZONA air in advance of the 75th anniversary of the December 7 attack. PEARL HARBOR – INTO THE ARIZONA, airing at 8 p.m. on December 6, is a one-hour film about a landmark expedition to the USS Arizona, one of the most sacred war graves in the world. Since its sinking 75 years ago, no one has seen deep inside the ship, where more than 1,000 sailors lost their lives. This film follows an expedition team that uses an advanced ROV (remotely operated underwater vehicle) to explore the lower decks of the USS Arizona for the first time since it sank. 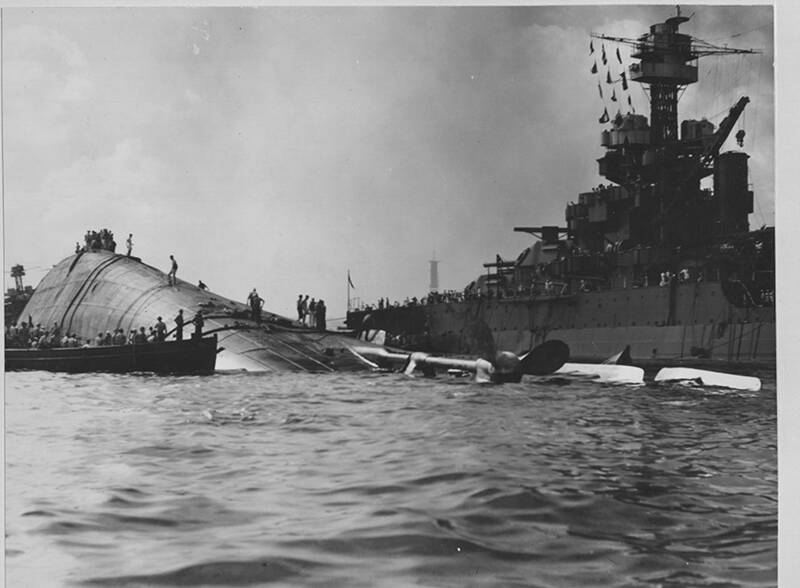 PEARL HARBOR – USS OKLAHOMA: THE FINAL STORY is a one-hour film, airing on December 6 at 7 p.m., that looks at the attack on Pearl Harbor with a focus on the sinking of the USS Oklahoma. The film features first-person accounts from survivors who describe the attack in vivid, harrowing detail — from the moments just before the attack, through every detail of the terrifying hours, to the days afterward spent trying to rescue the sailors trapped aboard. But the story of the USS Oklahoma didn’t end on December 7, 1941. For 75 years, families have waited for remains of “unknown” sailors to be identified and returned, and many questions still surround a lingering mystery: Why did the USS Oklahoma sink and capsize so quickly? PEARL HARBOR – USS OKLAHOMA −THE FINAL STORY will tell the stories of these unidentified sailors’ final homecoming, and dive into the mystery of the little-known Japanese “midget subs” that may have been responsible for the Oklahoma’s fate. WCVE PBS in Richmond, Virginia, is the presenting public television station.